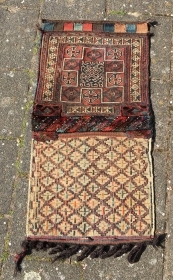 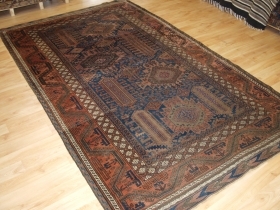 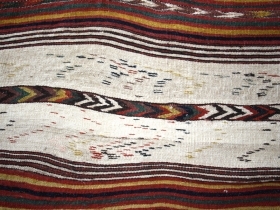 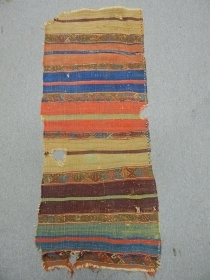 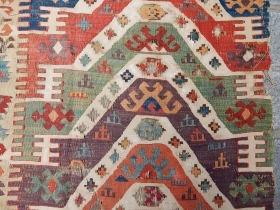 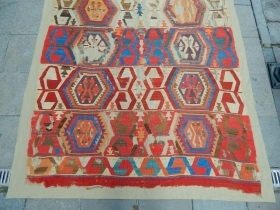 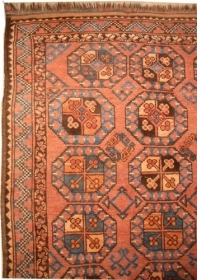 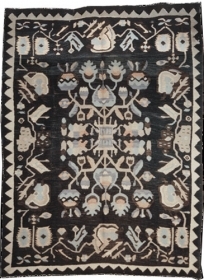 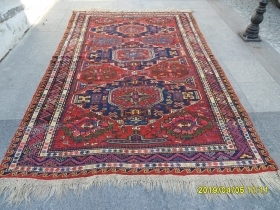 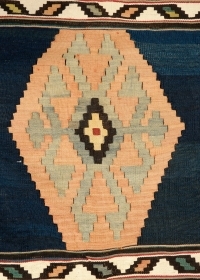 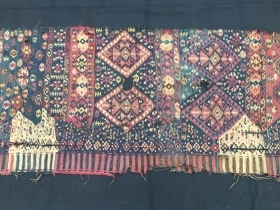 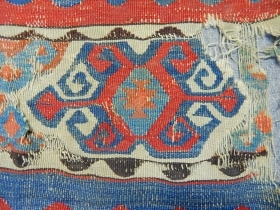 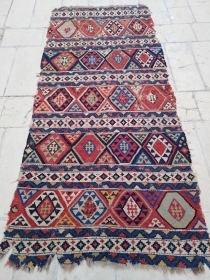 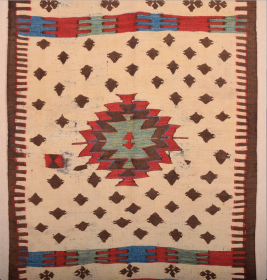 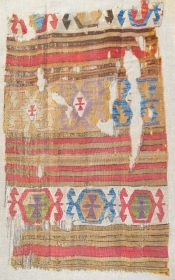 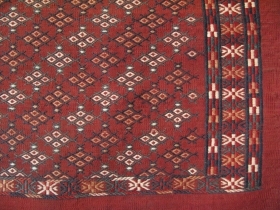 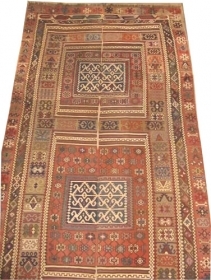 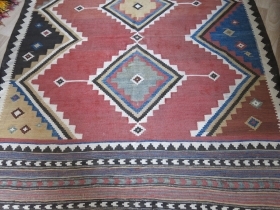 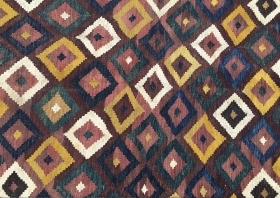 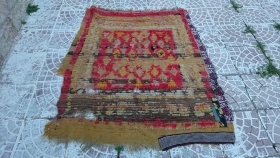 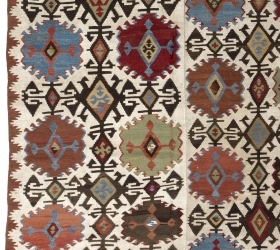 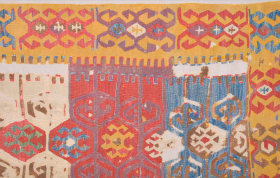 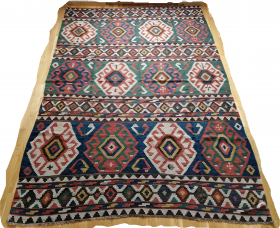 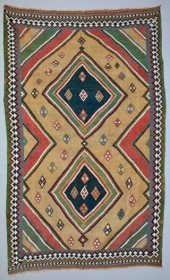 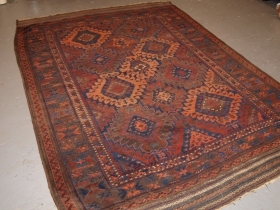 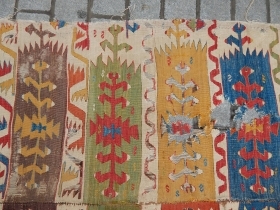 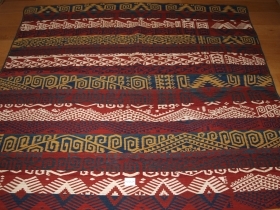 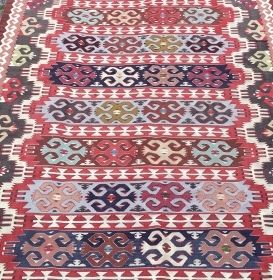 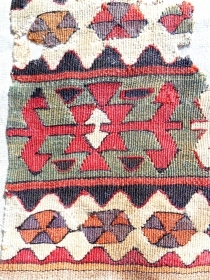 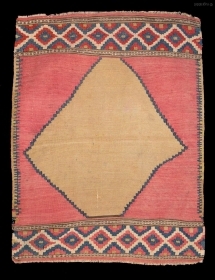 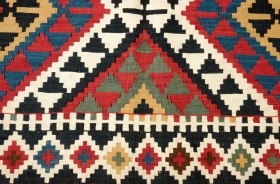 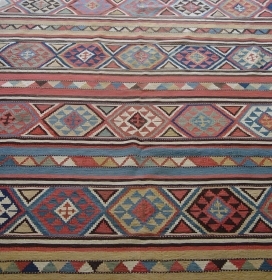 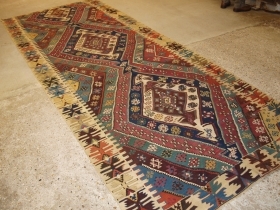 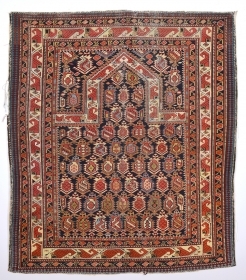 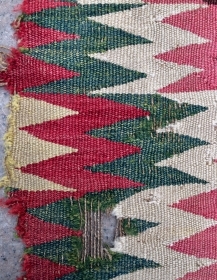 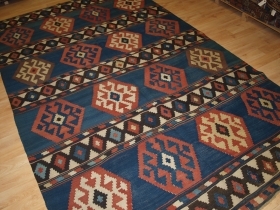 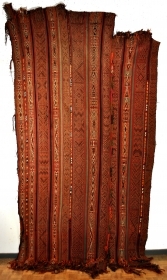 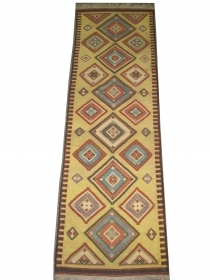 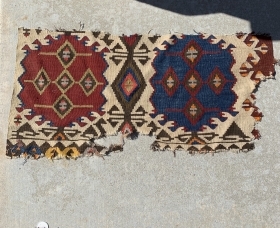 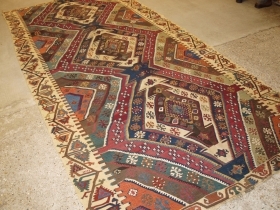 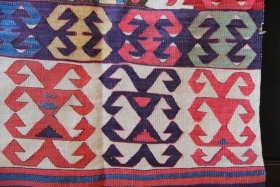 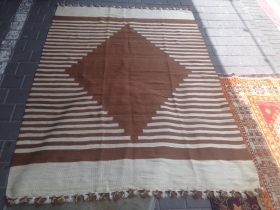 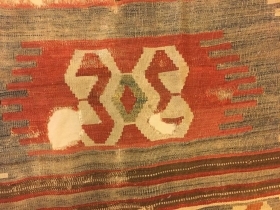 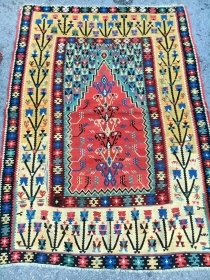 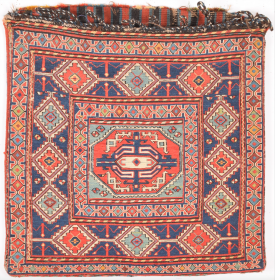 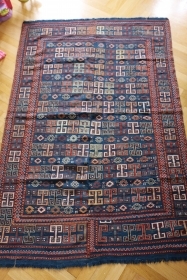 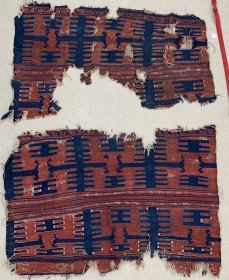 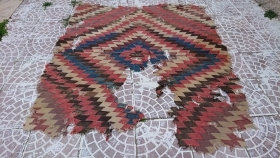 Circa 1800 Central Anatolian banded kilim fragment with camel. 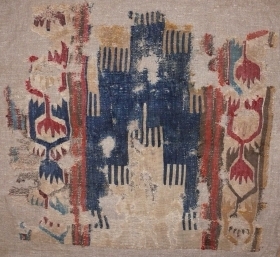 Conserved & mounted on linen. 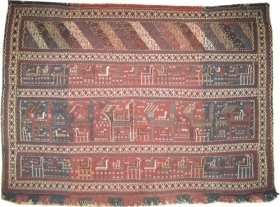 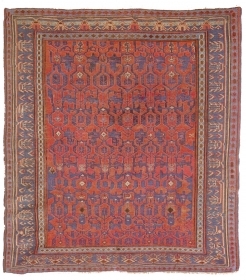 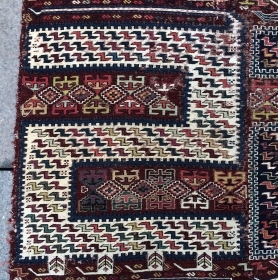 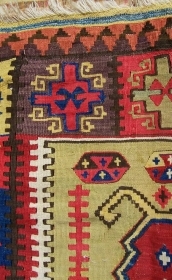 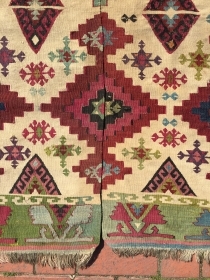 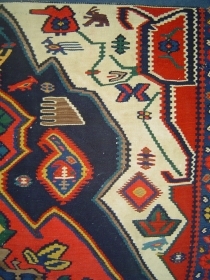 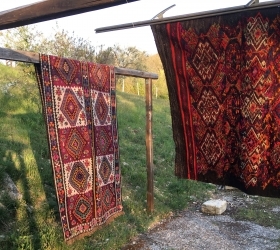 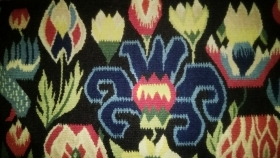 18th c. Central Anatolian kilim fragment with camel.